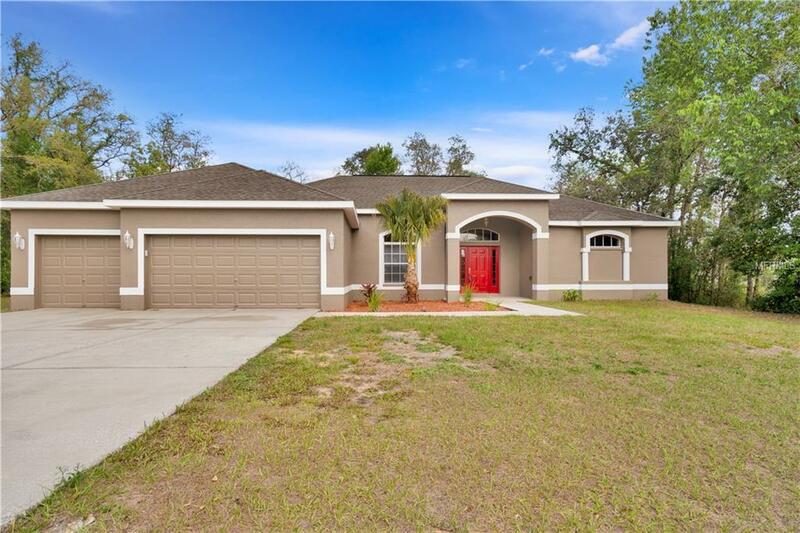 HUGE PRICE REDUCTION OF $9.5K!!!! 4 Bedroom, 3 Bathroom, 3 Car Garage CUSTOM BUILD home with 2,368 SF of heated living space! Large, private lot at the end of a paved street and cul-de-sac (only one neighbor!). 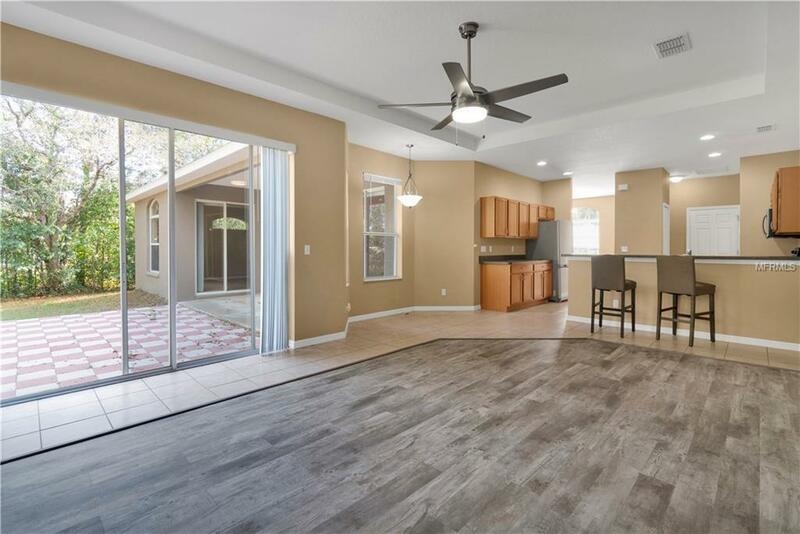 Interior is light and airy with vaulted ceilings and features an Open Concept Kitchen, NEW wood style laminate floors, NEW carpet, all NEW ceiling fans and light fixtures throughout and an Inside Laundry Room. Master Bedroom has en-suite bathroom with separate walk in shower and garden tub. Split bedroom plan with oversized rooms and oversized closets. NEW landscaping and private back yard with pavered patio. Freshly painted inside and out! 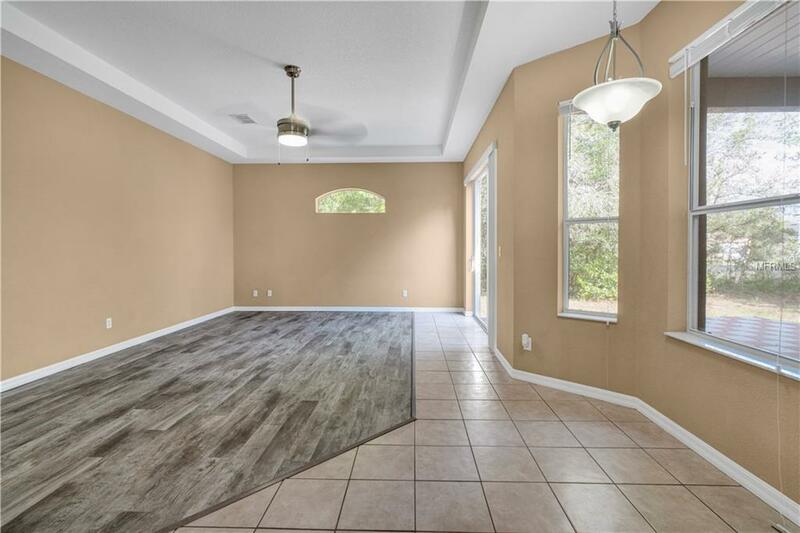 Neutral colors and finishes make this home move in ready. 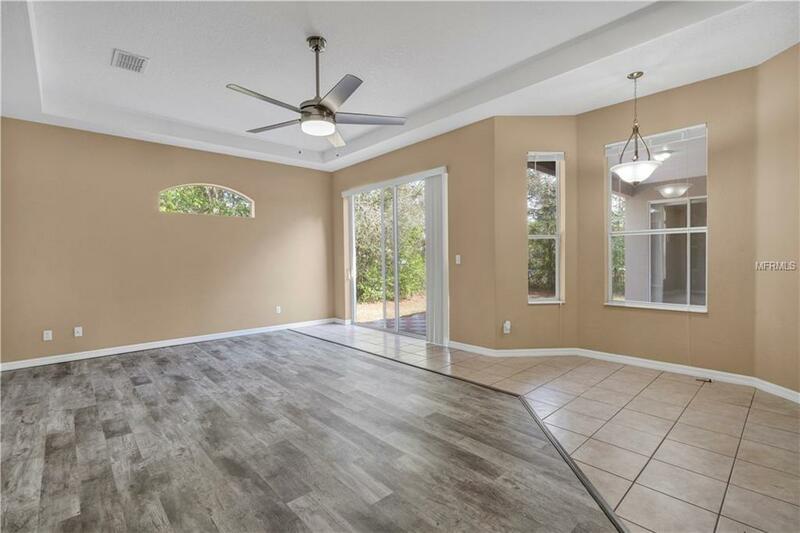 Easy access to Suncoast Parkway. You won't find another now like it, Priced to Sell! Schedule your showing now!